regulations and systems, and that they appropriate manage all personal data. consent of the customer or when there is a legitimate reason to disclose. alteration, and all potential problems related to the protection of personal data. changes, or suspension of their personal data which we hold. 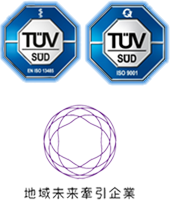 Udono limited and Narahara factory are certified by ISO9001:2008 and 13485:2003.